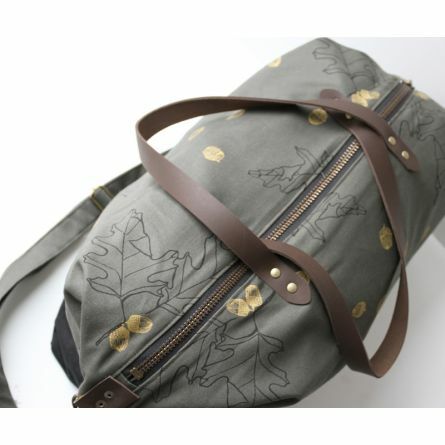 The Weekender is the perfect size for weekend getaways. 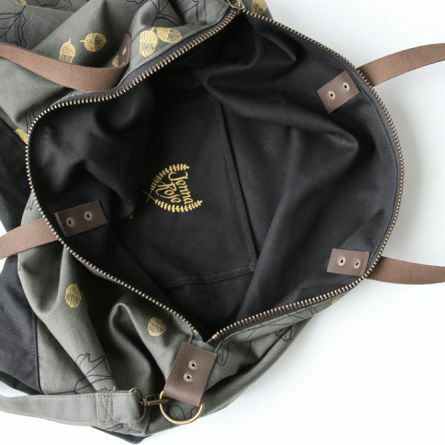 It's nice and roomy on the inside with a small inner pocket, and also has the option of two leather straps or a long adjustable cross-body shoulder strap. 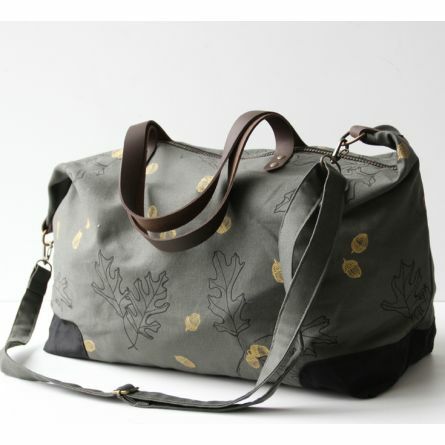 Hand screen printed with metallic gold acorns and black leaves using water based pigment on olive green cotton canvas. Has black canvas corners and base and is lined with black cotton canvas. 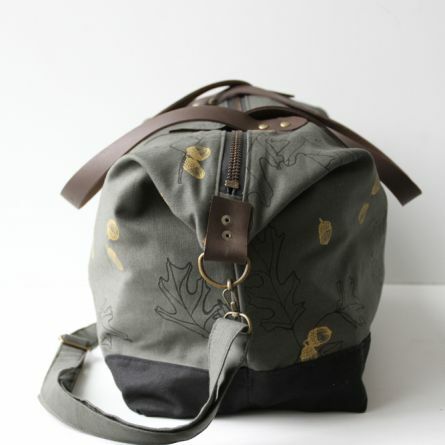 Has dark brown leather straps and antique brass hardware. Measures 24" wide across the top, 17" wide across the base, 13.5" high, and 7" deep. The leather handles have an 8" drop, and the canvas strap adjusts from 28"- 52" long.